Anna’s loved ones have collaborated on this project as a counter-move to the ervading media narrative. The book battles with the emotions and experiences of those trying to move forward through grief in the midst of media hysteria and political turmoil. It explores the anger, pain, and guilt faced by those left behind; and scrutinises the meaning of comradeship, friendship, and family. The book’s publishers need help covering costs of printing, so if you have any solidarity funds hidden away drop it here. The publication was printed by Calverts Printers Cooperative, meaning each book is of a high quality and made from ethically sourced materials. Being a cooperative, the workers are paid a fair wage for their labour. 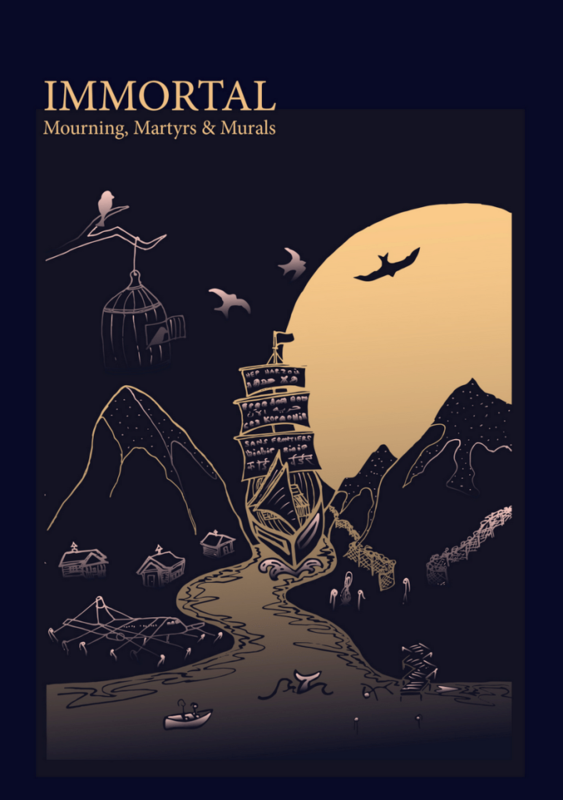 Buy IMMORTAL: Mourning, Martyrs & Murals: an anthology here. Previous post: #GiletsJaunes: #Paris is ours!